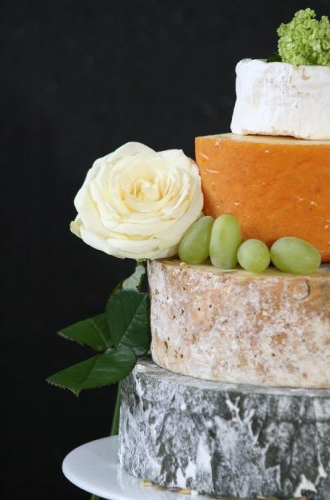 Good all-rounder for up to 100 guests comprising creamy Yarg, tangy Colston Bassett, smokey Cumbrian Cheddar and crumbly, tasty Goat's Cheese. 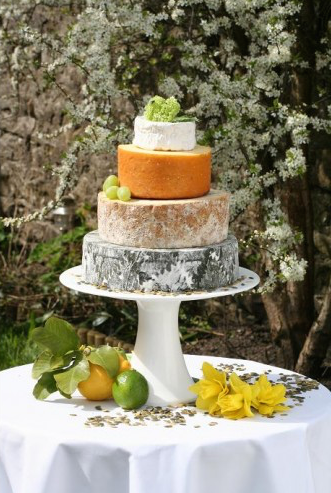 A Wedding Cheese Cake suitable for up to 100 guests. Price includes delivery and decorations.